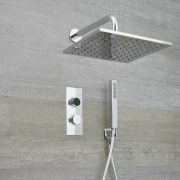 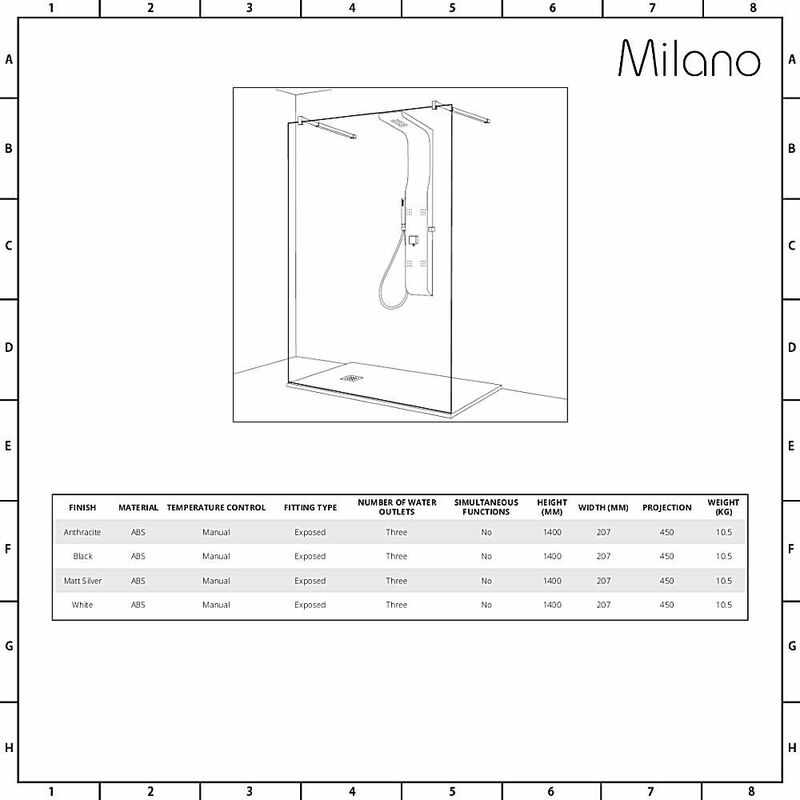 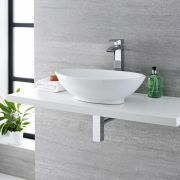 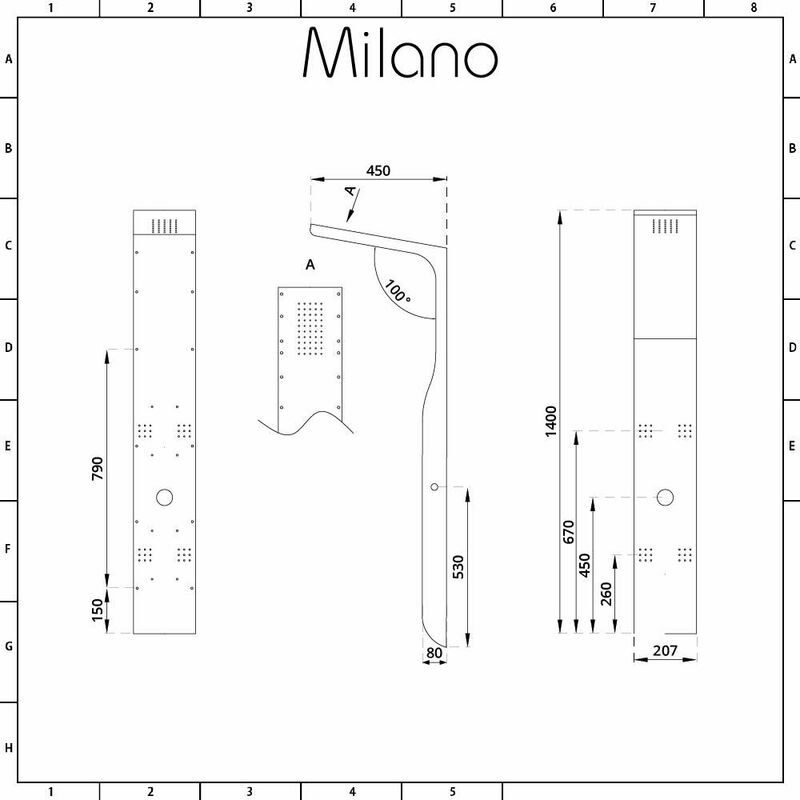 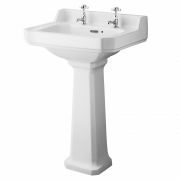 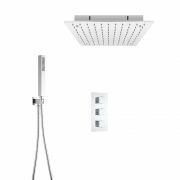 Create a contemporary look and shower in style with the Milano Dalston shower tower. 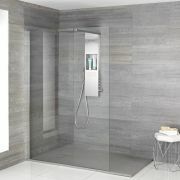 Available in a choice of finishes to suit your bathroom’s decor, this shower tower delivers a spa-like showering experience. 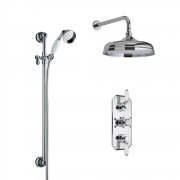 Easy to use, it features a rain shower head, four massaging body jets and a hand shower. 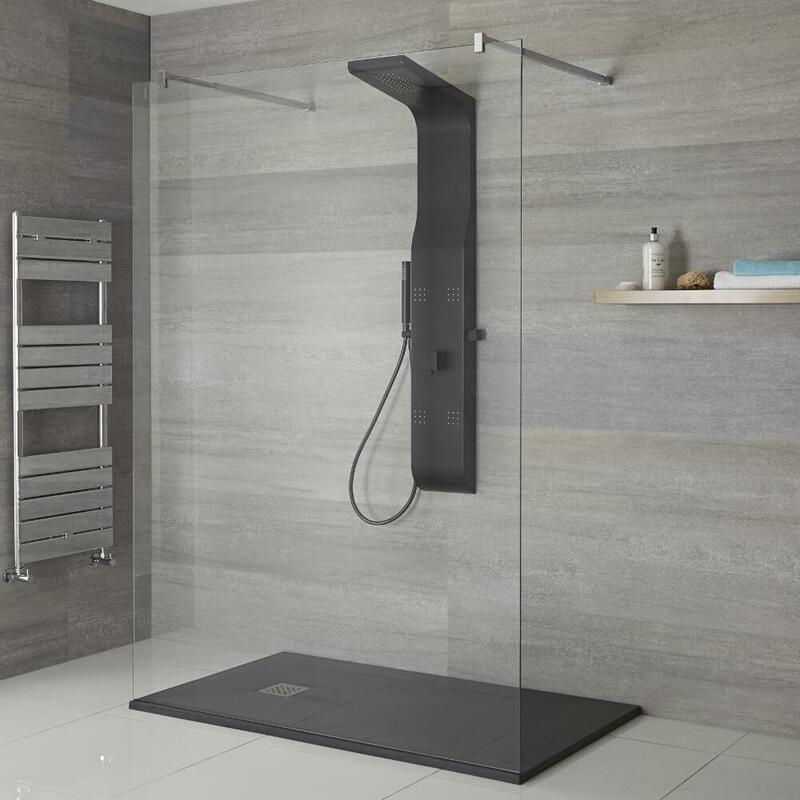 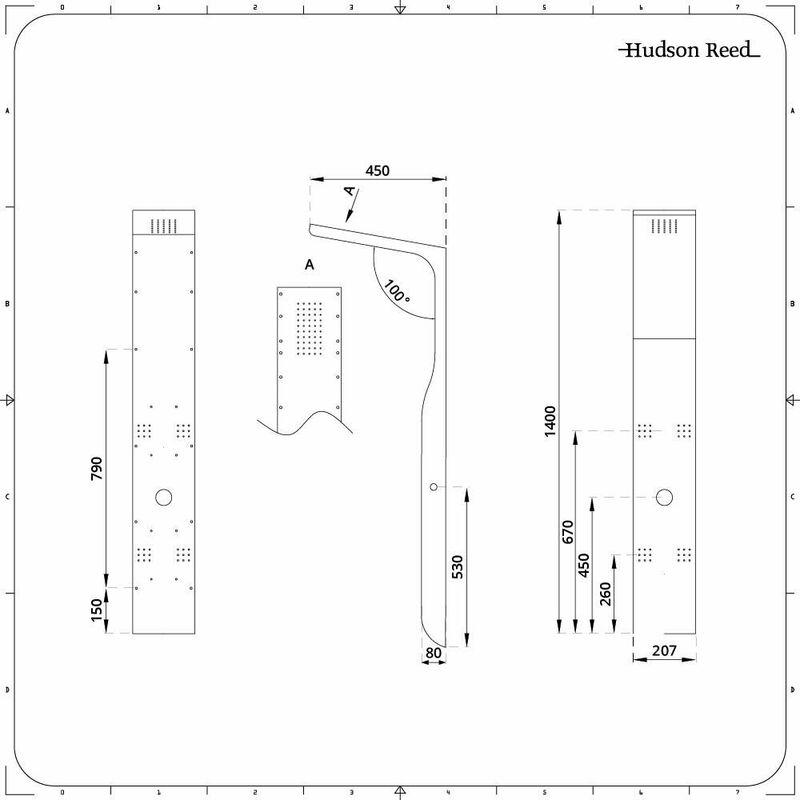 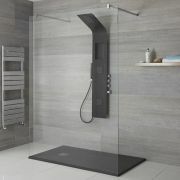 The shower tower is available in Anthracite, Black, Matt Silver and White - select your desired finish from the above options.